There is an endless supply of do-it-yourself accounting software, tax preparation tools and websites, and the sheer volume of options can lead you to believe the process of handing this function of your business or tax situation is simple. However, a DIY approach only works if you are satisfied with paying more than necessary and questioning whether your business is making money or not. Tax preparation software handles all of the basics, importing income and considering common tax deductions. Accounting in itself is challenging and it’s important to ensure your financials are accurate to know how to make proper decisions. Unfortunately, when it comes to careful application of less-common tax-reduction techniques, these programs simply can’t compete with a skilled tax professional. Our most successful clients utilize our Springfield, OH CPA firm to the fullest based on their individual and business needs. Robert Kiyosaki (Author or Rich Dad Poor Dad) said, business and investing are team sports and surrounding yourself with a quality team of professionals will assist you in achieving your goals. Trying to save money upfront, majority of the time, will cost you in the long run. As you know from your experience in business settings, companies that focus on their core mission are more successful. Devoting internal resources to creating excellent products and services, while outsourcing peripheral functions like IT and HR, makes it possible to innovate and deliver best-in-class solutions. Focusing on your core mission is just as critical when it comes to taxes and accounting. The time you would spend trying to track down tax and financial information is better applied elsewhere, and you are likely to pay more in the end anyway. 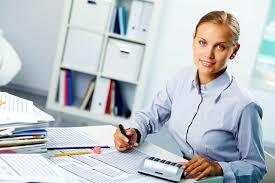 Cleaning up accounting and tax matters is more time consuming and costly to you. The tax code is constantly changing, and deductions that were available last year may not be appropriate today. Conversely, expenses you couldn’t deduct in previous returns may now be permitted. A skilled accountant stays on top of these changes and applies them to your situation, so you don’t have to complete extensive research. Much of the tax code is spelled out and clarified based on specific cases. Unless you are following industry developments day in and day out, you are likely to miss all but the most significant decisions. Your accountant has years of experience with filing returns, and continuing education is required in every state. You can be sure that these professionals understand what works – and what doesn’t. Experience also helps when it comes to developing your long-term tax savings strategy. Accountants have watched businesses grow and change, and they know how to get results. Their expertise in complex decisions like choosing a business entity or whether to consider cost segregation can be invaluable. Different types of income are taxed at varying rates, and do-it-yourself filers often assume there is nothing that can be done to change their circumstances. Talented accountants know better. With the help of a skilled professional, it may be possible to move income from high-tax categories to low-tax categories, which can mean significant savings. . Assisting with accounting and financial reporting matters ensures an expert review enabling you to focus on other strategies. Each day, week or month you will confidently know where you stand from a financial aspect. Finally, timing is always important in the financial world, and that holds true when it comes to your tax strategy. Accountants have a deep understanding of the economy’s ebb and flow, and they notice patterns that have played out over the course of their careers. They use this experience to advise on when and how to apply tax strategies for maximum savings. Learn more about why and how to choose the right accountant for all of your tax, accounting and consulting needs by clicking here!